Customers of East Dorset District Council will now benefit from being able to access services closer to town in Wimborne. The Council’s new East Dorset base in Allenview House, Wimborne town centre, has now been officially opened by staff and members. It opens to customers from today, Monday 14 November, and services have relocated from the more-remote Furzehill site. 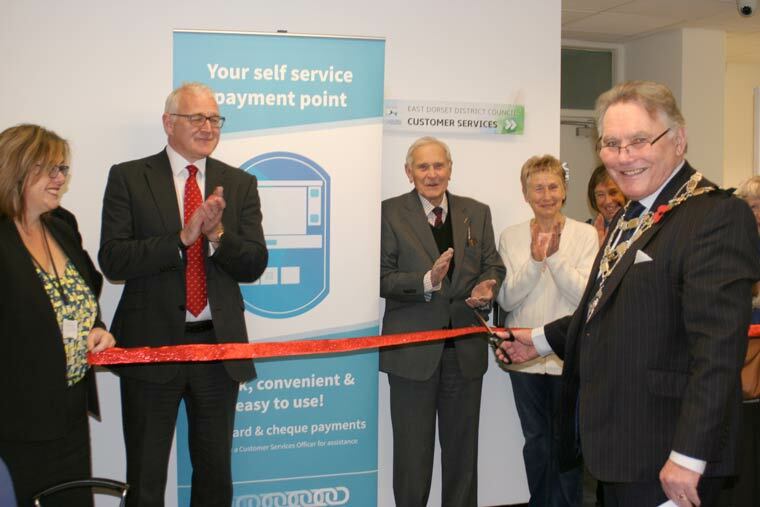 The opening ceremony was led by the Chairman of East Dorset District Council Councillor David Shortell, who was joined by the Chief Executive of Christchurch and East Dorset Councils David McIntosh, as well as customer services staff and some local residents. The new office address is: Allenview House, Hanham Road, BH21 1AG. The postal address will be: East Dorset District Council, PO Box 9148,Christchurch, BH23 9JQ, while the telephone number will stay the same as 01202 795096. Civic meetings, including full council and cabinet meetings, will continue to be held at Furzehill until May 2017. From then on they will then take place in the Quarterjack Suite at Allendale Community Centre.